It is a historical fact that the Great Hazrat Khwaja Moinuddin Hassan Chishty (R.A) was the greatest preacher as well as founder of Islam in India. 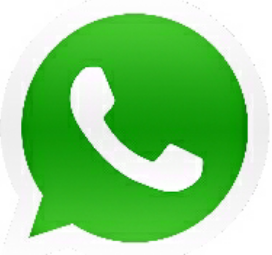 Though Mohd. Bin Qasim raided Sindh and entered India, Hazrat Ali AI Hujwari Data Ganj Bux (R.A) came up to Lahore and an old faqir, Hazrat Rowshan Ali Dervesh also reached Ajmer, but they left without sowing any seeds of Islamic doctrines' during Prithvi Raj's reign. The Great Hazrat Khwaja Baba (R.A.), the Holy Saint of God, arrived at Ajmer with his few followers and camped in a grove of shady trees where Alamgiri mosque is now situated. Raja's camel keepers objected to their halt at the camels resting spot. The Raja's camel keepers insisted that the place was meant only for Raja's camels. Thus these strangers must vacate immedi­ately and go somewhere else. On hearing such angry and rude instructions from the camel keepers, the Great Hazrat Khwaja Baba (R.A.) became angry and replied. "We are leaving this place, but the camels must not get up "The Raja's staff took this remark as a joke. The next day, when the camels did not get up in spite of all efforts to make them move, this incident was brought to the notice of Raja Prithvi Raj Chowhan. The Raja became very perturbed and he asked his people to apologize to the Saint. When the camel keepers did so, Hazrat Khwaja Ghareeb Nawaz (R.A.) said, "Now the camels will get up." On their return the Raja's men were surprised to see the camels standing. The Great Hazrat Khwaja Moinuddin Chishty (R.A) remained settled with his few followers on the bank of Ana Sagar Lake. The followers of the Holy Saint used to draw water from it and sometimes they would catch fish from the Sagar and rarely slaughtered cows. These activities were repugnant to the sentiments and religious feelings of the Raja. Around Ana Sagar there were many temples. The Brahmin priests of these temples complained about such anti-Hindu activities to the Raja. derveshes and his companions from the Ana Sagar Hill. Raja Prithvi Raj's servants not only demanded the removal of Hazrat Khwaja Baba (R.A.) and his followers but also arrogantly insisted on their vacating the Ajmer soil. This notice of leaving Ajmer was made in a very indecent and improper tune. In no circumstances could the Great Hazrat Khwaja Baba (R.A.) agree to the withdrawal from Ajmer with his companions because he was there under the instructions and command of the Holy Prophet (S.A.W) and by the will of Almighty Allah. and a few even ran away in terror. Raja Prithvi Raj Chowhan raised the alarm and posted his army on all sides of Ana Sagar and strictly ordered the soldiers that Muslims should not be allowed to carry water from the Ana Sagar. When Hazrat Khwaja Baba’s (R.A.) followers came to take water from Ana Sagar, they saw that the Ana Sagar water was totally banned for them and the Military was posted there. The companions became very much frightened. Khwaja Baba's (R.A.) followers returned with an empty jug to Khwaja Baba (R.A.) and explained whatever they had seen. On hearing the events, Hazrat Khwaja Baba (R.A.) felt deeply hurt and he himself took the Kooza (tumbler) and went down towards Ana Sagar. As soon as Hazrat Khwaja Baba (R.A.) came across a soldier, he prevented him from taking water from the Ana Sagar tank. Hazrat Khwaja Baba (R.A.) looked at his face with his miraculous eyes. The soldier could not tolerate Hazrat Khwaja Baba’s (R.A.) angry face. He became nervous and fell down on the ground unconscious and dropped the sword from his hand. The Great Hazrat Khwaja Moinuddin Chishty (R.A) absorbed and fetched the whole water of the Ajmer city in the Kooza (tumbler) including the Ana Sagar water. All sources of water for the city mysteriously disappeared. Even the milk in the breasts of nursing mothers and animals dried up. This disappearance of water was noted by Prithviraj's people with consternation. This miracle caused a great change in the sentiments and ambitions of the public. Consequently, a large number of people embraced Islam at the hand of the Great Khwaja Baba (R.A). The strength of the opposition to him decreased owing to this unprecedented miracle. Raja Prithvi Raj was criticised by the public for the disappearance of the water. In spite of his best efforts and tactics water could not be restored. At last Raja Prithvi Raj Chowhan personally went to the Great Hazrat Khwaja Baba (R.A.) and said that in future he would not ban the use of water for any human being or creature, which is a free gift of nature. He apologised to the Saint and the water facility was restored to all instantaneously. It will be useful to state here that the miracles always happen in all ages to reveal to and remind the universe that there is a supreme power (divinity) in the universe. otherwise they will go astray. When Tunku Abdul Rahman was campaigning for his election as a Premier without any hope of success, his Ho­liness Hazrat Khwaja Moinuddin Hassan Chishty (R.A) commanded a local faqir in dream three times continuously to go to Tunku Abdul Rahman and inform him that he would win the election provided he promise to pay a visit to Ajmer Sharif for a Ziarat of Khwaja Baba’s Shrine. When the local faqir communicated this message to Tunku, he took the dream to be a whimsical joke of the faqir. On the whole, he promised to him rather half heartedly to go to Ajmer if he succeeded. Miraculously Tunku Abdul Rahman succeeded in his mission and became the Prime Minister of Malaysia. Later, Tunku Abdul Rahman along with his wife paid a visit to Ajmer Sharif for Ziarat on 25th October 1962. He became the royal guest of the Government of India. It is surprising that Tunku did not even know the full name of the Great Hazrat Khwaja Moinuddin Hassan Chishty (R.A) much less his Biography. According to Islamic faith and traditions the Great Hazrat Khwaja Moinuddin Hassan Chishty (R.A.) was the SPIRITUAL King and Crown maker in this sub-continent. It is evident that no ruler succeeds to power unless and without the consent of the greatest Muslim Saint, Khwaja Moinuddin Hassan Chishty (R.A.), who represents the spiri­tual Kingdom of the Creator. It is fact that when any King/ruler, being a tyrant and avoiding the general interest of the Public, is deprived of power whether this materialistic and scientific world, believes it or not. I hereby quote one definition in this connection of LORD CURZON. "IN INDIA THERE IS A GRAVE WHICH RULES." 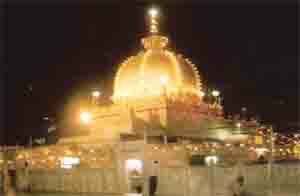 (pilgrimage to Ajmer to the Holy Shrine of the Great Khwaja Baba (R.A). On hearing this tremendous news from an ordinary Faqir TUNKU naturally took the dream to be a whimsical Joke and half heartedly promised to go to Ajmer Sharif. When he succeeded his election he obeyed the message of the dream by visiting Ajmer Sharif with his family for this par­ticular purpose during the role of Late P.M. Jawaharlal Nehru. It has been reported that, the Great Khwaja Baba (R.A.) undertook two Hajj pilgrimages of Mecca before coming to India. What is astounding and left many dumb founded are the eye-witnesses in Mecca every year of people reporting seeing the Great Saint Khwaja Baba (R.A.) performing Hajj while others at the same time saw him present at Ajmer. This phenomenon is even more astonishing when we consider the fact that this phenomenon of being present at two places at the same time was and still is an impossibility for normal people. Once a person met the Great Khwaja Baba (R.A.) and said that he had come to pay homage. Khwaja Baba (R.A.) replied "Here I am, but first fulfill your promise that brings you here." The man trembled on hearing this and soon admitted that he was hired by some enemies of the Great Khwaja Baba (R.A.) to murder him. He begged to be pardoned by the Saint who forgave him. This person then embraced Islam and became one of his mureed for the rest of his life. One day Khwaja Qutubuddin Bakhtiyar Kaki (R), the beloved Khalifa and spiritual successor of the Great Hazrat Khwaja Moinuddin Chishty (R.A.) was having a stroll with king Shamsuddin-Al-Tamish of Delhi. The king courtiers were also in attendance, when all of a sudden an attractive woman barred their way and started wailing bitterly. When asked by the king the reason for her willing, she replied that: she was pregnant with child and Khwaja Qutubuddin Bakhtiyar Kaki (R) was responsible for that. She insisted on her nikah (marriage) with him. The king and his courtiers were terribly upset because they knew that the Khalifa was a pious man, with untarnished integrity. The Khalifa himself became ghostly at the statement made by the women. He turned his face in the direction of Ajmer and invoked the help of his Pir-o-Murshid, Khwaja Moinuddin Chishty (R.A). All of a sudden the Holy Saint appeared in the midst of the King and his courtiers. The King and his courtiers were wonder-struck at his sudden appearance and hurriedly offered their homage. The Saint then asked his Khalifa the reason for remembering him (the Saint). The Khalifa was too dumb-struck to answer and tears ran down his face. Thereupon, Great Khawaja Baba (R.A.) turned to the woman and addressed the child in the womb. “O’ confined child, your mother is accusing Qutubuddin of being your father, now speak out the truth and say if the accusation is correct." By the grace of God, the child in the woman's womb replied, "Your Honour, the statement of my mother is a lie; the enemies of Qutubuddin accused the holy man only out of jealousy so that he would be discarded in the eyes of the people." The people assembled there were astonished at the voice from the woman's womb. Realizing that she could not escape, she admitted her guilt openly before the King and his courtiers. It is said that an official (mufti) bore a grudge against Khwaja Qutubuddin (R) because of the special treatment enjoyed by him under King Shamsuddin-al- Tamish, hence this wickedly contrived plot failed miserably. One day the Great Khwaja Baba (R.A.) was giving a lecture. The audience noticed that whenever he glanced towards his right, he stood up for a while and then resumed his lecture. This occurred many times. After the lecture, some devotee asked him about this, and he replied by saying that that the tomb of his Pir-O-Murshid was on that side, and whenever he looked that side the tomb came before his eyes, so he stood up to pay his respects. An old woman tearfully came to the Saint who was at that time performing his prayers. She told him that the Governor had murdered her son for no fault of him, and begged the Great Khwaja Baba (R.A.) for justice. He, taking his walking stick asked the woman to show the place where the body of her son was lying. His devotees also followed him. Placing the dismembered head in its proper position on the corpse, he prayed to God to restore the life of the dead man if he was innocent. The young man got up whole and hearty and the very next moment both he and his old mother fell down at the feet of the Saint of Ajmer out of gratitude. While the Great Khwaja Baba (R.A.) was passing through the streets of Ajmer with his attendant Sheikh Ali, a creditor of Sheikh Ali appeared before them and insolently demanded his money back from the attendant. Knowing the short comings of human beings, Khwaja Baba (R.A.) told the creditor that his money would soon be repaid. But the creditor did not agree. Seeing, this the Saint (in a state of Jazba) took off his chadar and flung it on the ground. Astonishingly, it was covered by a heap of gold and silver coins. He then told the creditor to take exactly what was due to him. The creditor, being a vile and greedy person, wanted to take more than his legitimate due and stretched his arms. Instantly, the heap disappeared and the arm was paralyzed. The creditor, guilty as he was, immediately fell at the feet of the Great Khwaja Baba (R.A.) for mercy and as usual by his immense grace Khwaja Baba restored his hand to it's normal condition. It is said that though the Great Khwaja Baba (R.A.) lived a very austere life and his daily food was frugal (he ate dry bread soaked in water), his cook used to prepare large quantities of food to distribute among people of Ajmer. Every morning, the cook would present himself before his master for daily expenses and the Great Saint would lift a corner of his musalla (prayer carpet) and ask the cook to take away only the required amount of money for that particular day’s provisions and no more. One day, while sitting on the back of the Ana Sagar lake at Ajmer, the Great Khwaja Baba (R.A.) saw a cowherd (boy) passing before him with a herd of young cows. The Great Khwaja Baba (R.A.) asked the boy for some milk. The cowherd replied that the cows, being immature, were unable to give milk. The Great Saint smiled and told the young boy to milk a particular young cow. The boy hesitatingly obeyed and was astonished to see the teats of the cow fully developed with milk. The boy then milked the cow and the milk was enough for about forty people. The young lad was so awe-struck by the holy Saint and his miracle that he became an ardent devotee of the Great Khwaja Baba (R.A.). One day a Mureed (disciple) of the Great Khwaja Baba (R.A.) came to him and complained that the Governor had subjected him to incessant harassment and that day he had also banished him from the confines of the city. The Great Khwaja Baba (R.A.) told his Mureed to return home telling him that the Governor had already been punished by God. When the man returned home, he heard of the Governor's death owing to a fatal fall from his horse while hunting. The Mughal ruler to Indian throne, Emperor Alamgir after coming into power, immediately paid a visit to pay homage to the Holy Saint Hazrat Khwaja Moinuddin Hassan Chishty (R.A) at Ajmer. It was his routine habit that always he would say ASSALAMU ALAIKUM to the resting place of the Great Saint. If a reply to his salutation came from the con­cerned grave, he would believe that the real and exact grave is there. Otherwise he would order to demolish the shrine. It shows just how strict he was in his religious convictions and beliefs. which is now known as ALAMGIRI MOSQUE. The mother of Raja Prithvi Raj, the ruler of India at that time, predicted that a Muslim Dervesh would one day arrive in his kingdom. She warned her son that if he maltreated that Muslim Dervesh, his kingdom would perish. Prithvi Raj was very much astonished to hear such words from her mouth. Twelve years after the prediction was made, Prithvi Raj was informed that a Muslim Dervesh had indeed arrived in his kingdom as predicted by Raja's mother. In spite all of his efforts, plans and tortures perpetrated on Hazrat Khwaja Baba (R.A.) Raja Prithvi Raj was unable compel the Great Khwaja Baba (R.A.) or bring him under his control against the supreme divine will. He could not succeed in arresting or killing the Great Hazrat Khwaja Ghareeb Nawaz (R.A). Even after such misbehavior on Raja Prithvi Raj’s part, the Great Hazrat Khwaja Moinuddin Chishty (R.A) several times invited him directly and indirectly to embrace Islam, but he always rejected the proposal. Prithvi Raj consulted with the temple priests and his trusted counselors -Ajai Pal and Shadi Dev. Ajai Pal had a large number of chelas (disciples) in the field of magic, black arts, witch craft and astrology.The Raja told his most worthy magicians to remove and kill this Muslim Faqir along with his followers to save their religion. The Raja also repeated the prophetic words of his mother about the fall of his kingdom. On hearing this Guru Ajai Pal assured the Raja that he should not worry at all, and that the Faqir was only a fake person. He would turn him out of Ajmer and in future no such type of Muslim would dare come here.The next day Ajai Pal and a group of disciples arrived at the spot. Ajai Pal, the Guru of the several chelas as well as Raja Prithvi Raj Chowhan, started the maiden attack on Hazrat Khwaja Moinuddin Chishty (R.A) who was unarmed. The Great Saint was busy in meditation and contemplation. When Hazrat Khwaja's Baba’s (R.A.) disciples informed him of the situation, he got ready to repulse their attacks.He drew a circle on the ground around him and his followers for protection against Ajai Pal's magical attacks. Firstly, Ajai Pal launched a number of Chakras into the air through a whirlwind. The fundamental function of these chakras was that they cut everything it touched or came across into pieces. But these did not harm either the Great Khwaja Baba (R.A.) or his followers. These chakras, whirling violently in the air went back to Ajai Pal and his chelas. They got furious because their magic proved useless. Thus Ajai Pal's first attempt failed.Hazrat Khwaja Ghareeb Nawaz (R.A) instructed his followers that nobody should go out of that circle around them. Whatever would come either magical or material would fall outside of that marked circle.After this failure, Ajai Pal became very angry and he attacked the Great Khwaja Baba's (R.A.) little group with a large number of horrible boas, venomous snakes, scorpions poisonous and dreadfully injurious worms. All these sprang up and rushed towards Great Khwaja Baba (R.A.) and his party from all directions. But as soon as they proceeded near the Great Saint’s protective circle, they all perished. This dreadful attack also failed and Ajai Pal got even more furious because his second attack was repulsed by the Almighty's humble servant.At last Ajai Pal and his chelas made the last attack by raising a cloudy storm cyclone, with fire, water and stones. All these ran towards the Great Khwaja Baba (R.A.) causing an intolarable noise. Even this had no effect on the Holy Saint and his companions. Instead it turned back to wreak havoc among Ajai Pal's followers.These failed attacks on the Great Khwaja Baba (R.A.) and his followers were being watched carefully by the general public and made them think carefully as to which side possesses Allah’s blessings. Ajai Pal and the Raja were faced with a seemingly hopeless and desperate situation. The frustrated Raja threatened Ajai Pal with dire consequences if he did no save the honour and religion of the kingdom. Ajai Pal made the last bid to recover his ruined prestige and honour.Ajai Pal brought out a mirgacha, sat on it and flew into the sky. In a few moments he disappeared in the air. Up till now, every feat was judged patiently by the followers of Hazrat Khwaja Moinuddin Chishty (R.A). One of them, not being able to tolerate these types of feats of Ajai Pal, invited the Great Khwaja Baba’s (R.A.) attention to the problem. He urged him to intervene and do something against those horrible feats and the Great Saint smiled and ordered his Nalain (wooden Sandals which Muslim faqirs wear like chappals) to go up in the air and bring Ajai Pal down to the ground. As Great Khwaja Baba (R.A.) ordered his nalain, both of them went into the air flying and instantaneously brought the flying magician down to the Great Khwaja Baba’s (R.A.) feet by continuously striking Ajai Pal’s head. Ajai Pal was shocked to see the great power of the Holy Saint's sandals. He totally surrendered himself to the Great Khwaja Baba (R.A.) after losing his final attack. Ajai Pal was now at the mercy of the Great Khwaja Baba (R.A.). He lay there waiting for the Holy Saint's orders. The Great Hazrat Khwaja Moinuddin Chishty (R.A) then asked him to embrace Islam and accepted his apology. Ajai Pal immediately embraced Islam and became a devoted disciple. The Great Hazrat Khwaja Baba (R.A.) named him Abdullah Bayabani.